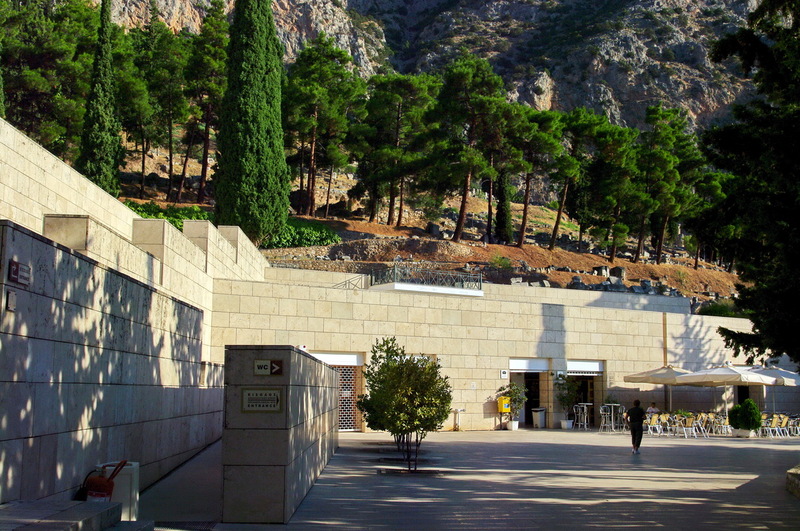 The treasure of artifacts brought to light by the excavations in the sanctuary of Delphi found shelter in the museum that was built on site in 1903 with funds by Andreas Syggros. Successive expansions of the exhibition areas from the 1950s onwards led to the contemporary museum, which was last refurbished in 2000. 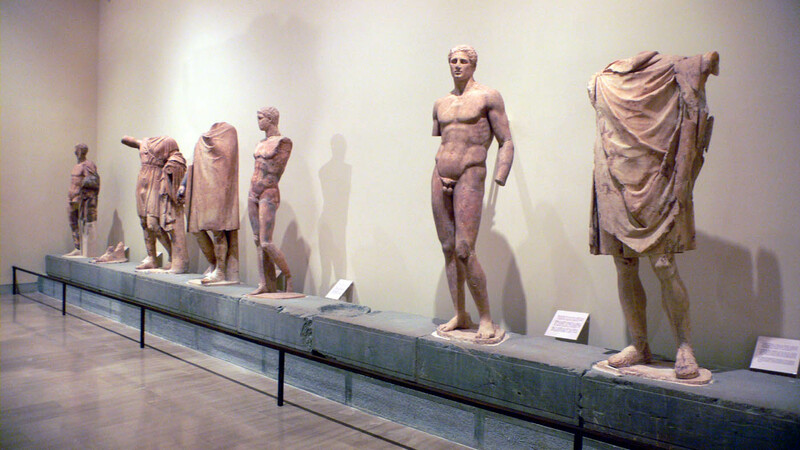 Today the museum accommodates one of the most valuable collections of ancient Greek art. These works, along with the architectural monuments, once adorned Apollo's sanctuary, which must have resembled a vast open-air museum. 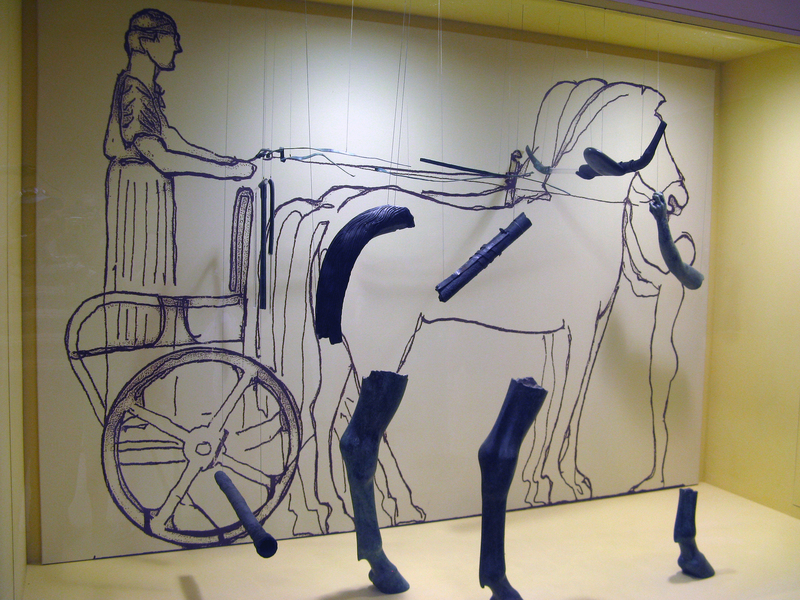 The famous Charioteer belonged to a statuary complex of a chariot run by four horses and included a second male figure. It was dedicated by Polyzalos, the tyrant of the powerful city-state of Gela in Sicily, after his victory in the Pythian Games around 475 BC. 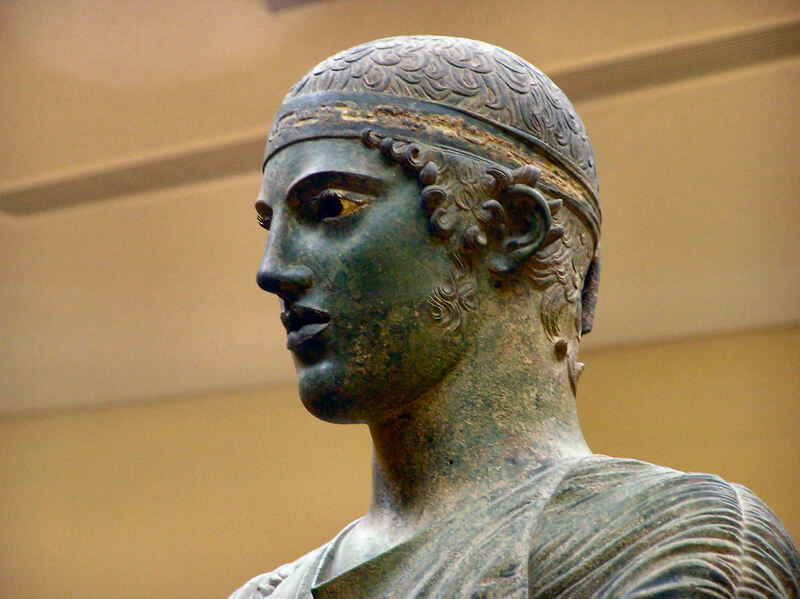 A masterpiece of classical art sculpted in bronze, a rarely preserved material in the archaeological record. 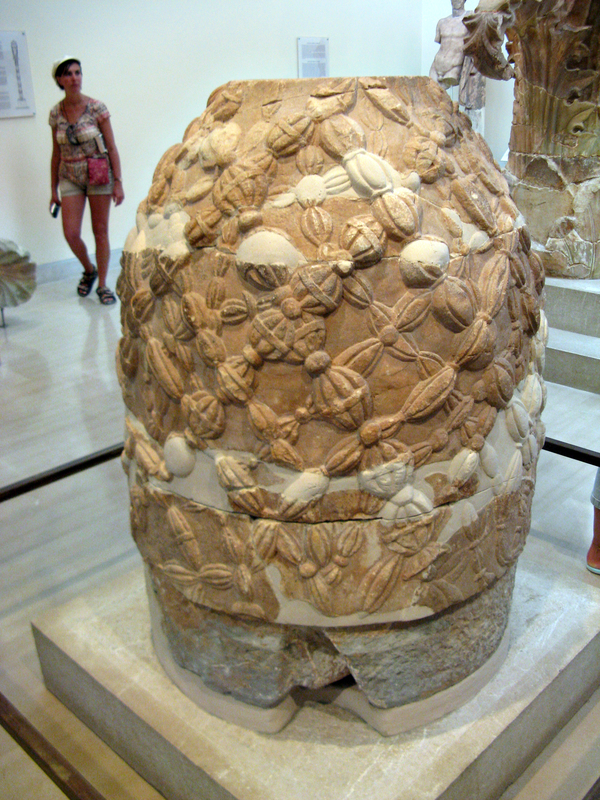 The sacred symbol of Delphi, the omphalos (navel) that signified the center of the earth, was kept in Apollo's temple, while effigies of the sacred omphalos were positioned in several spots of the sanctuary. One such marble copy of the Hellenistic times has been found and is on display in the museum today. A moving story of familial devotion lies behind the statues of Kleobis and Biton. 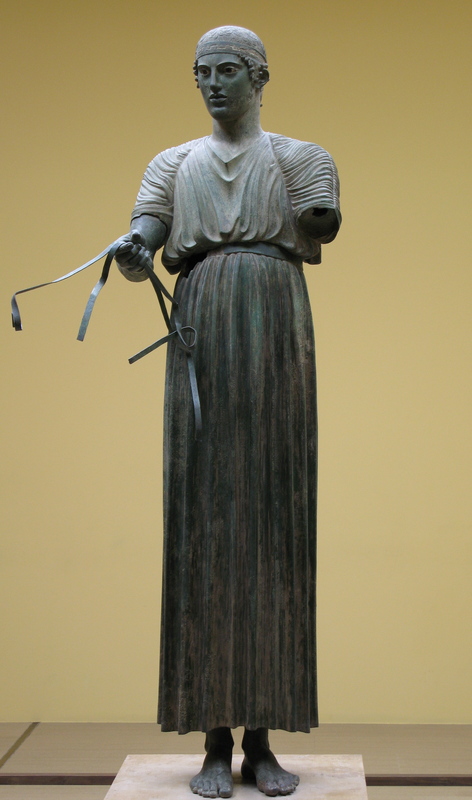 These were two brothers from Argos who pulled their mother's cart all the way from the city to the sanctuary of Hera; the goddess rewarded their devotion by sending peaceful death in their sleep. 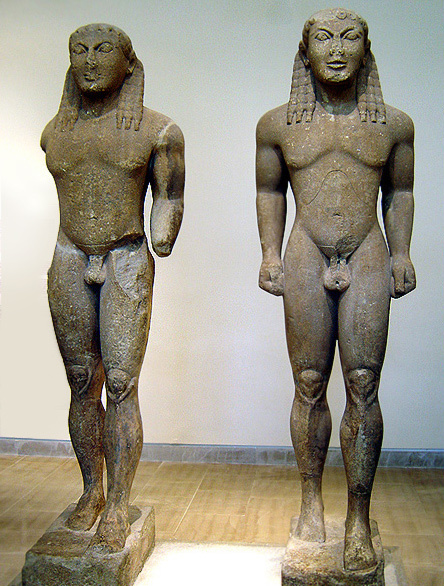 The statues, of the typical Kouros type, are attributed to a Peloponnesian workshop and date to the end of the 7th century BC. They were dedicated to the sanctuary by the citizens of Argos. 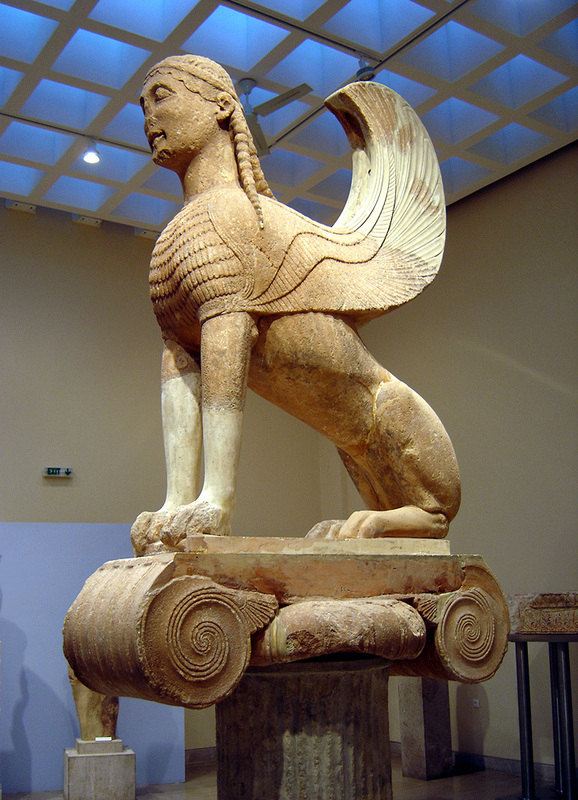 The Sphinx of the Naxians, dated to 560 BC, comprises one of the earliest representations in art of the demonic creature with a lion's body, bird's wings and a woman's head. The statue was positioned on the top of a particularly high Ionic column, on the south of the temple of Apollo and next to the stoa of the Athenians. 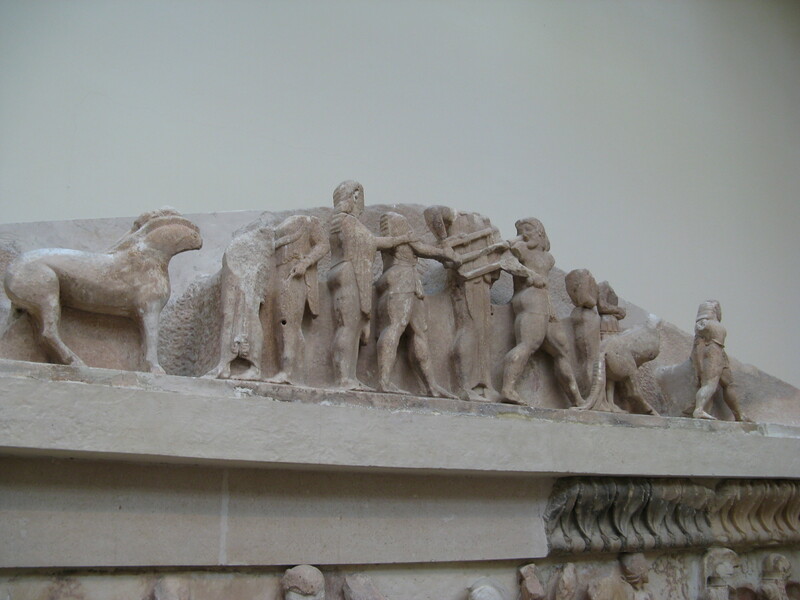 The scenes unfolding upon the sculpted surfaces of the treasuries compose a mythological panorama: the Siphnian treasury tells the story of the attempted stealing of the mantic tripod by Hercules and how Athena's intervention deterred the fray between him and Apollo. The treasury of the city of Sikyon depicted the Argonauts' expedition and the abduction of Europe by Zeus transformed into a bull. The Athenians, on the other hand, chose the labours of Heracles and Theseus for the decoration of their own treasury. 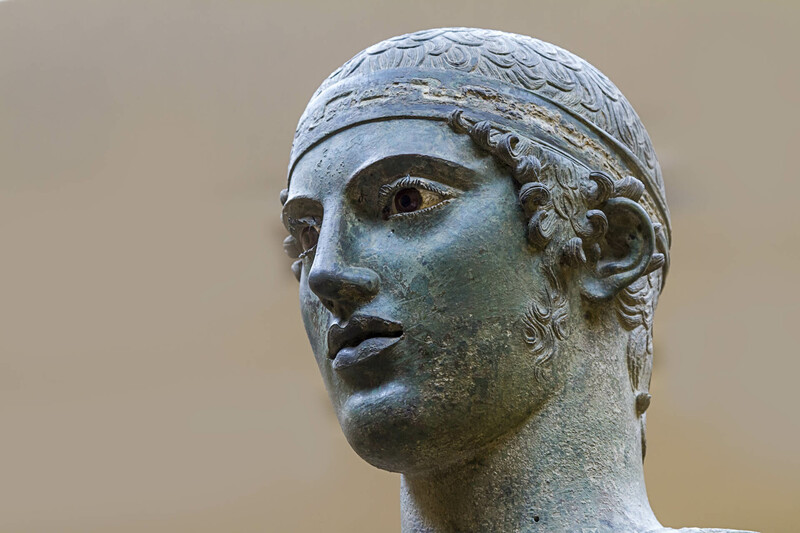 One of the most distinctive private offerings to the sanctuary came from Daochos, governor (tetrarch) of Thessaly and dignitary of the Delphic Amphictiony during the reign of Philip II. Daochos dedicated nine statues representing his ancestors and his son -identification derives from the inscriptions carved below each represented figure. A rare case of an eponymous family portrait attributed to the workshop of Lysippos, one of the most important sculptors of the late-4th century BC. 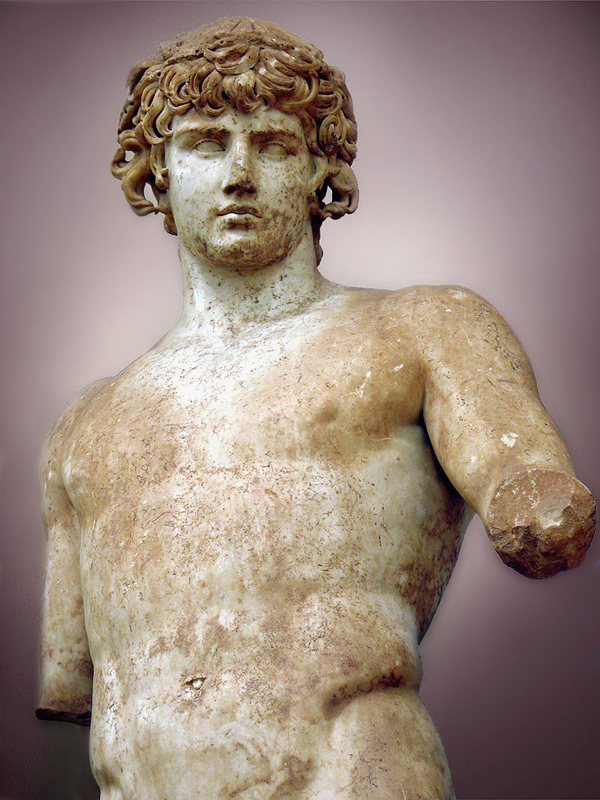 The marble statue of Antinoos portrays the celebrated for his beauty youth and emperor Hadrian's favourite as a god. This work is considered one of the finest examples of the neoclassical style that revived in the 2nd century AD. 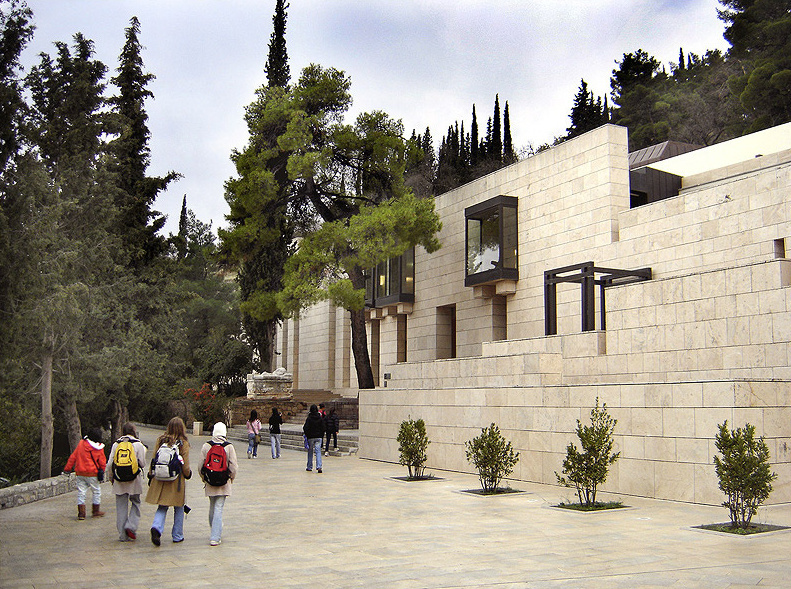 The Archaeological Museum of Delphi from the series "The Museums Cycle" published by the Latsis Foundation.